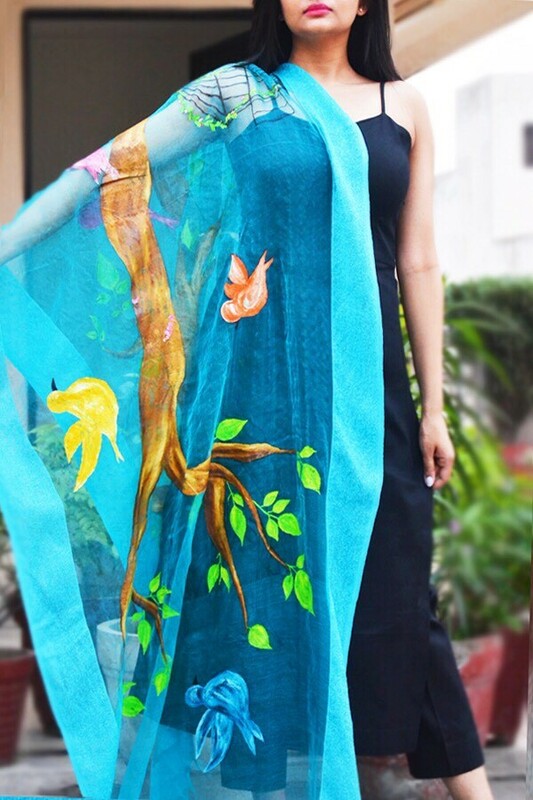 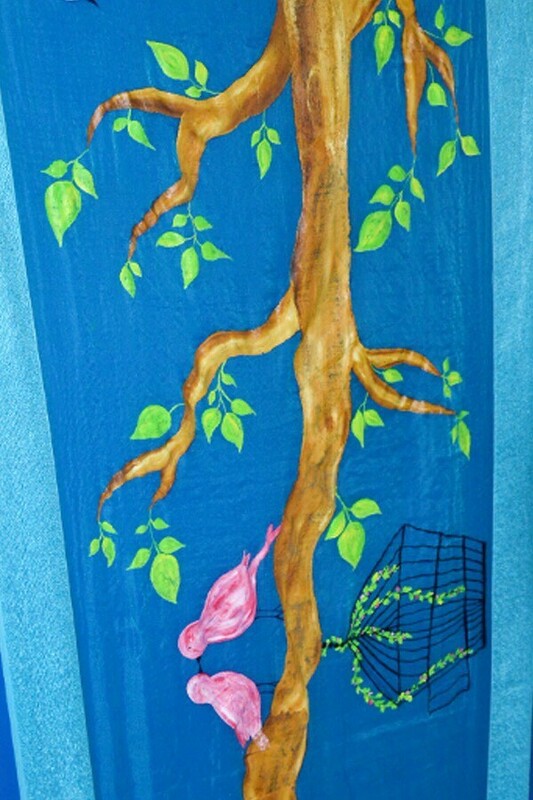 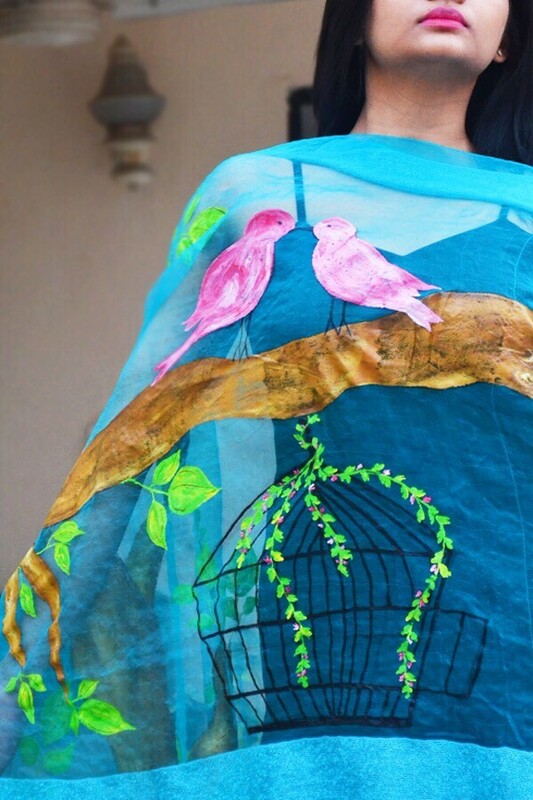 Colorauction presents this beautiful Sky Blue Hand-painted Floral stole with dainty tassels making it an ideal pick for summers. 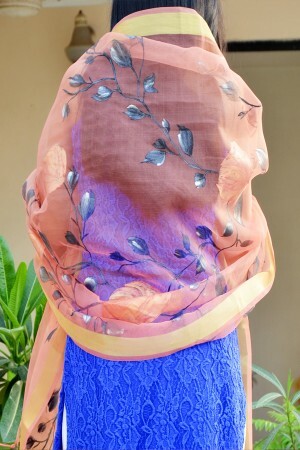 This stole is made from organza making it light in weight. 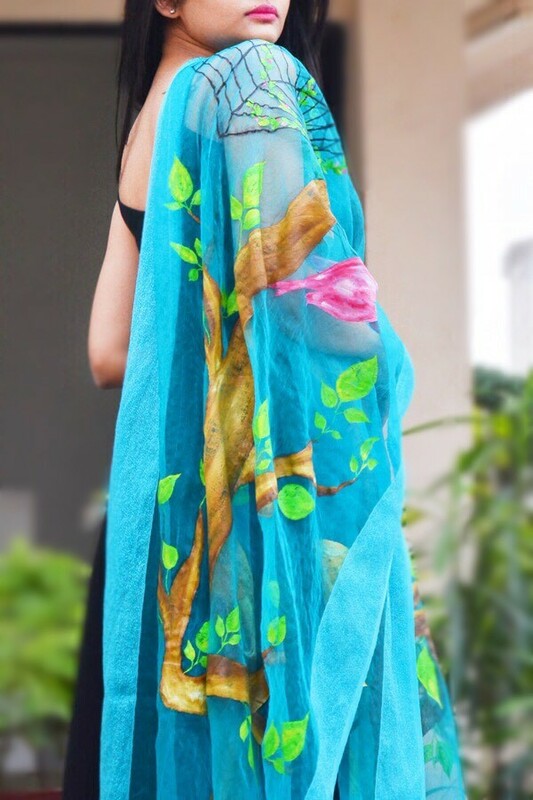 Team this stole with a black kurti and a pair of palazzo & black stilettos.